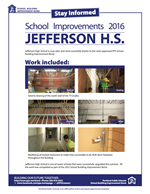 Bond (School Building Improvement Bond) / Jefferson H.S. As part of the School Building Improvement Bond, Jefferson H.S. will receive some building level seismic strengthening and ADA improvements. Click here to view a photo album of the 2016 Jefferson seismic work. 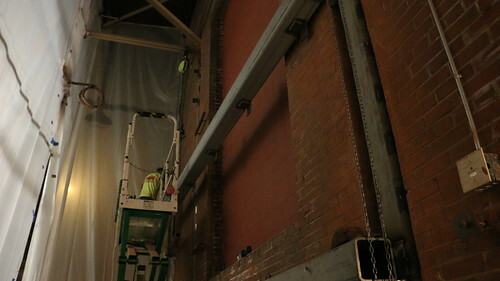 Seismic bracing of the south wall of the TV studio. Modifying of several restrooms to make them accessible to all, ADA door hardware throughout the building. Please view the flyers below to learn more about the work done at Jefferson in the summer of 2016.